The National Radio Centre is located near Milton Keynes at the historic codebreakers complex at Bletchley Park. The map below shows the location of the National Radio Centre in relation to local road and rail. 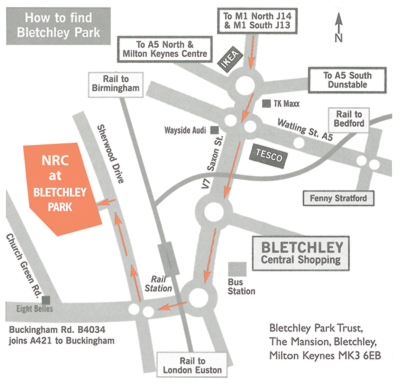 The link on the left, provided courtesy of Bletchley Park, give more detailed instructions on how to reach the Bletchley Park site.